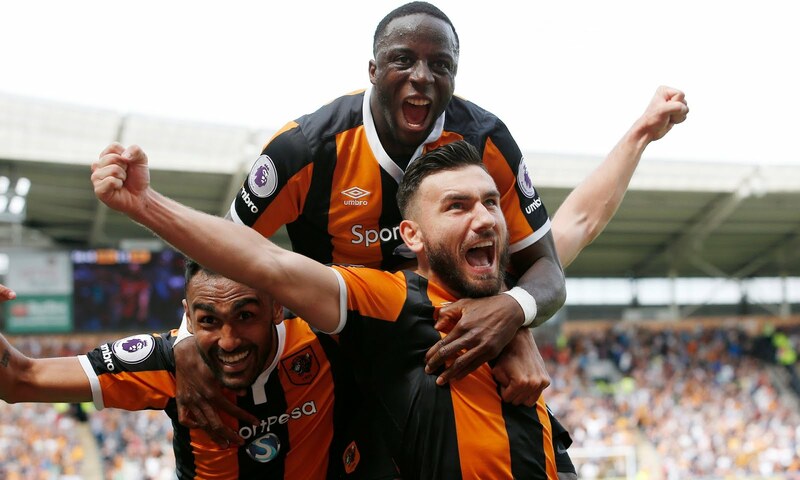 Hull City announced themselves to the top-flight with a stunning victory over the champions Leicester City in the opening game of the new Premier League season. Riyad Mahrez's emphatic penalty cancelled out Diomande's opener before Robert Snodgrass lashed home to settle the contest. After a long, tedious gap of 90 days without Premier League football, Claudio Ranieri's champions arrived in Hull to get things underway for another English top-flight season. Amid the continued protests of Hull fans against owner Assam Allam, the season kicked off. It was the visiting side who threatened early on, with Demarai Gray's effort looping over the bar after taking a nick off a defender. 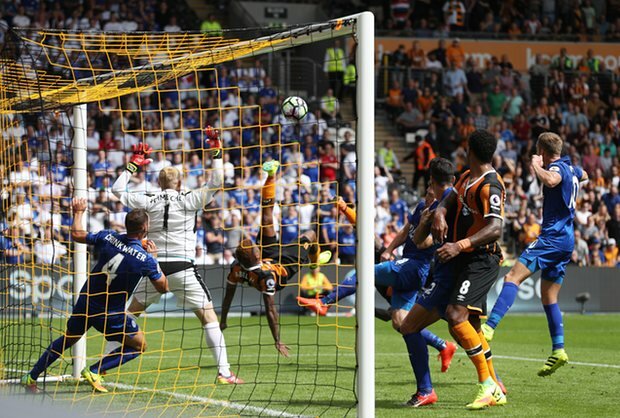 The Tigers roared back, with Curtis Davies heading just wide of Kasper Schmeichel's near post. The hosts seemed content to sit back and invite pressure from the likes of Vardy, Musa and Mahrez, but the stars of the team in blue showed some signs of ring rust as several chances went begging in the first half. Twenty minutes in, Musa accelerated down the left flank and squared the ball to an unmarked Vardy - a certain goal last season - but the England international fluffed his lines and missed the ball completely. Mahrez collected the loose ball and weaved his way through the Hull defence, but his pot-shot skimmed off the side-netting. Last season's Player of the year began to work his magic as Leicester's pressure intensified, Danny Drinkwater curling just wide after being sent through by his Algerian teammate. For Hull, their star man in the first half was undoubtedly Ahmed Elmohamady, the Egyptian wide-man tracking back to take care of his defensive duties as well as carving open opportunities for the likes of Hernandez and Diomande with his wicked crosses. It was again Leicester who streamed forward in search of that elusive first goal and Musa continued to impress with his electric pace and high-energy runs. The Nigerian duped Davies before putting the ball on a plate for Vardy, but again the striker failed to make the most of his chance. It was clear that the 30-year-old was missing his shooting boots after such a fantastic season last year. Moments later, Leicester were punished for sloppy defending by a goal of real quality from the promoted side. A Snodgrass corner pinballed around the danger zone before Hernandez and Diomande combined to hook the ball over Schmeichel with an acrobatic effort. Their lead was short lived though, as 14 seconds into the second half Tom Huddlestone tripped Gray inside the box to concede a cheap penalty. Step forward, Riyad Mahrez. The 26-year-old made no mistake from 12 yards as he thumped home to level the game and calm the nerves of the champions. Just ten minutes later though, the underdogs struck again. Elmohamady whipped in a delicious cross for Snodgrass to meet on the half volley, and the Scottish international duly accepted the invitation to strike a rocket into the bottom corner, no chance for Schmeichel. The goal prompted euphoria around the KC Stadium, as fans began to believe their side could overturn the champions. With all the problems off-the-pitch surrounding the club, an opening day win would be the perfect equaliser. As the Tigers began to suffocate the Foxes, absorbing wave after wave of attack, it became quite clear Ngolo Kante was missed in the heart of midfield for Claudio Ranieri's side. On top of that, Robert Huth's calming presence was clearly absent as the visitors continued to look leggy, lacklustre and unfocused when dealing with the threat of Snodgrass and Elmohamady. As the final whistle blew, a huge sigh of relief was echoed around the stadium, Hull had just won against the reigning champions. A huddle led by Curtis Davies following the match illustrated the togetherness of this group of players, and perfectly displayed the team spirit which makes a team successful. 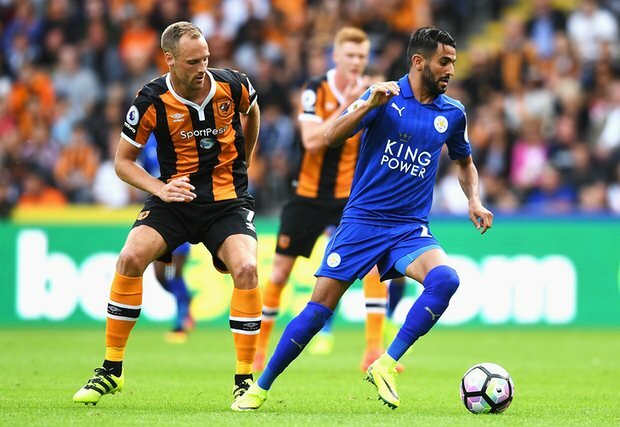 Leicester looked shaken, as if they were facing themselves from last year, while Hull relished every minute of their Premier League return.